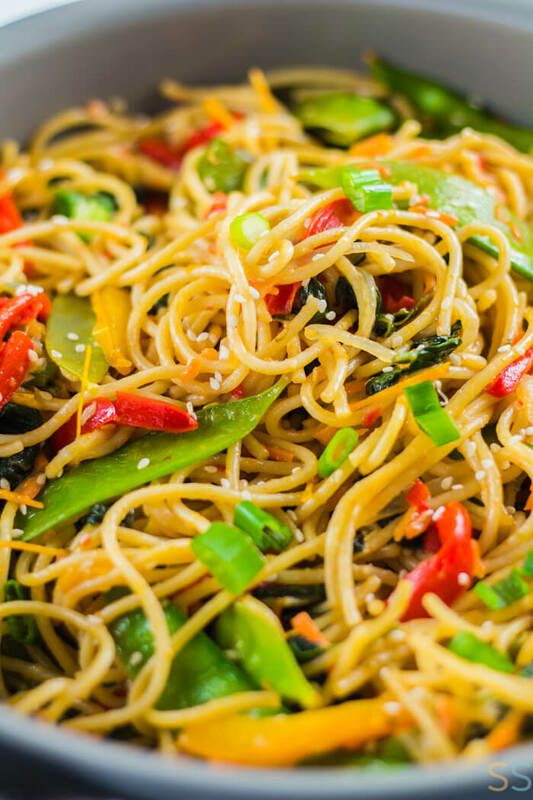 Enjoy your favorite takeout dish with this vegetable lo mein recipe. 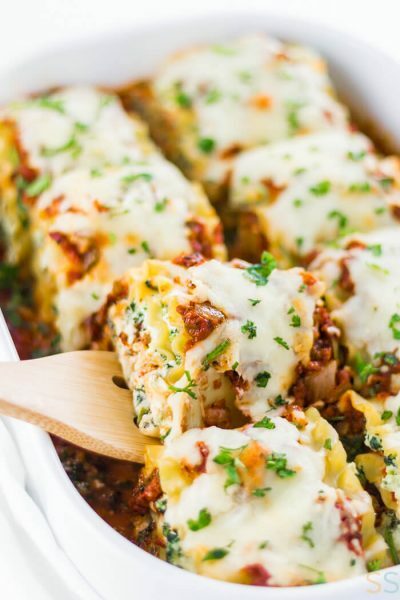 This veggie packed 25 minute meal will become a family favorite! 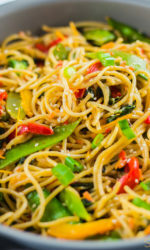 I can’t even begin to tell you how much I love this vegetable lo mein recipe! I’ve been making a version of this veggie lo mein for years and it has yet to disappoint. 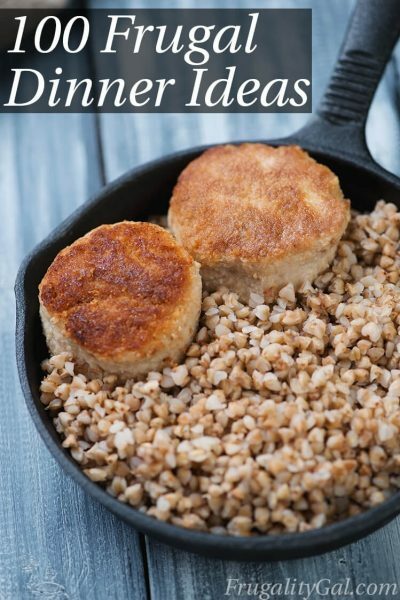 It’s one of those reliable recipes that you actually look forward to making on busy weeknights. 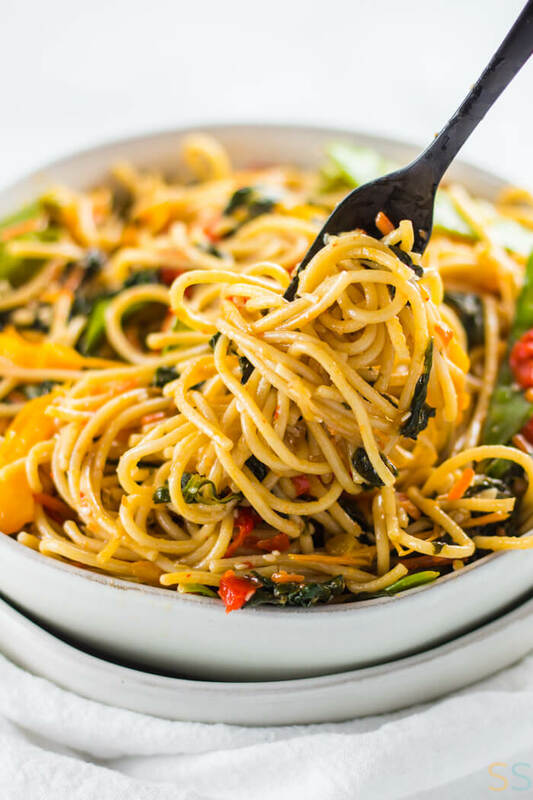 This vegetable lo mein recipe can hold its own against any veggie lo mein I’ve had from a restaurant. Dare I say that I even like it way more than the actual takeout version, which I usually find a little too heavy for my tastes. 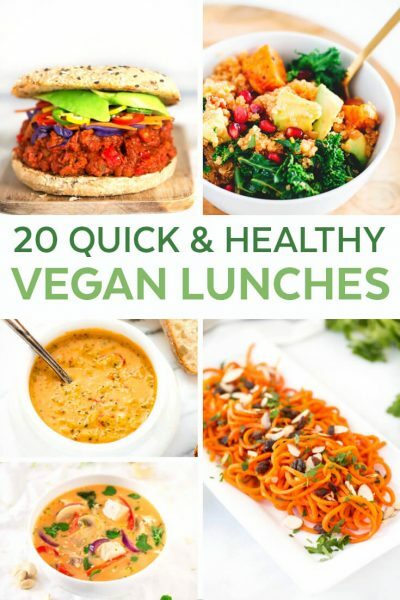 This homemade version is bright, fresh, packed with veggies and is a beautiful and colorful meal that you’ll be proud to put on the table. I know it’s a vegetable lo mein recipe… and there are actually no lo mein noodles in sight. I used spaghetti instead since I figured almost everyone has that on-hand and is familiar with cooking spaghetti. But if you want to whip up a more authentic version of this dish, just use your favorite lo mein noodles! 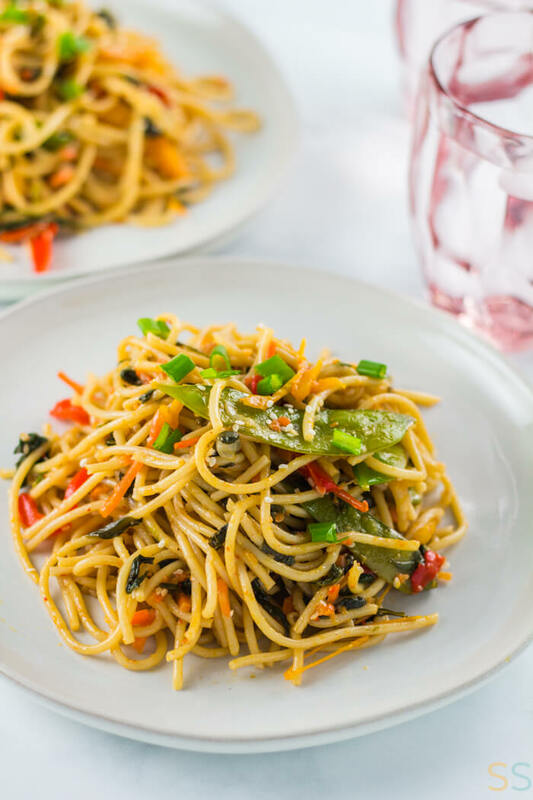 This vegetable lo mein recipe was featured in my Free Vegetarian Dinner Meal Plan! 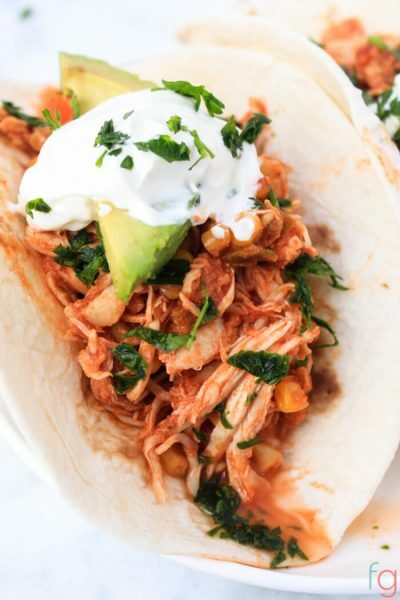 The meal plan includes five vegetarian dinner recipes with a shopping list and tips for saving money on groceries, wrapped up into a convenient printable PDF. 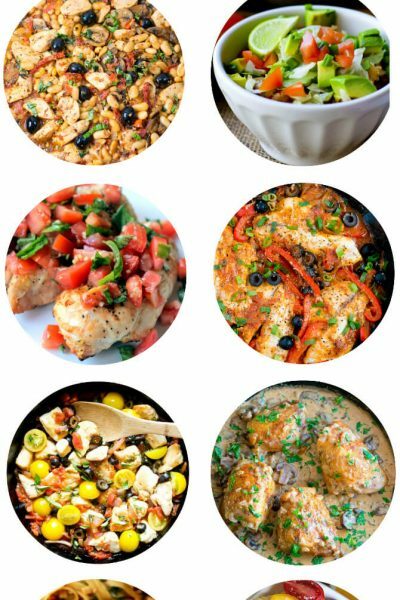 You can grab your free meal plan by clicking the picture above! Cook spaghetti according to package instructions. Drain, set aside. In a medium bowl, mix together all sauce ingredients. Mix well, set aside. Heat olive oil over medium high heat in a large pan. Add onion, peppers and carrots. Salt lightly. Use tongs to sauté for about 7 minutes. Add in garlic, spinach and snow peas, saute for another 2 minutes. Add noodles and sauce to pan and toss until well combined. Remove from heat and stir in sesame seeds and green onion. OMG…what a recipe..I will definitely try this..
thank you so much for this best recipe..Iooking for more recipes.